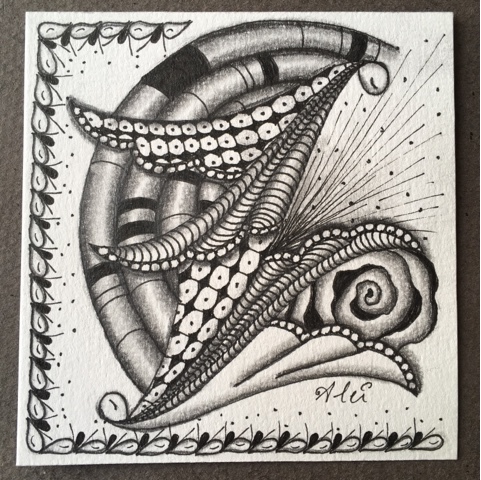 The "I am the Diva Challenge" #299 is about using Drawings on your tile. My Drawings looks like two connected angels. Very nice ! And I like my border too. Ì love how you've embellished your Drawings! Wonderful tile composition! Really like the lines and dots coming out on the right side.... Looks like a celebration of fireworks! Mooi hoe je Drawing in de compositie hebt verwerkt, het is een fraai geheel zo!